Sharon BuMann began her career as a professional sculptor in 1977. She holds an Associates Degree in Graphic Arts, a BFA in Sculpture, post graduate credits from Lyme Academy and University of Hartford, Connecticut. BuMann's current works include traditional fine art sculpture, bronze monuments, architectural collaborations, and butter sculptures. Her creations range in scale from miniature to monumental. She is perhaps best known as the sculptor of the Jerry Rescue Monument in Clinton Square, Syracuse. In the past decade, Sharon has expanded BuMann Sculpture Studios to include TRS (Technical Restoration Service) dedicated to the restoration of existing bronzes, especially a number of works of public sculpture in Central New York. 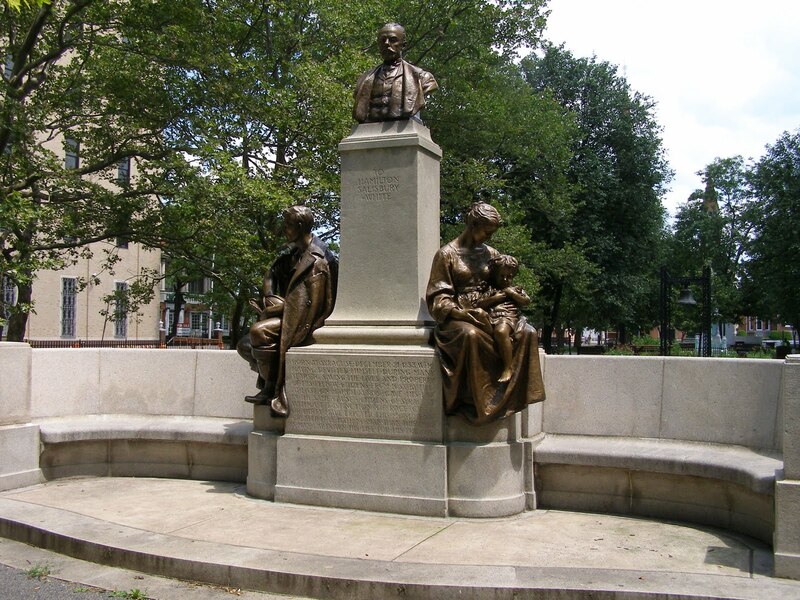 Engaged by then Syracuse Parks Commissioner Otis Jennings in 2001 to care for many of the city's long neglected monuments, and supported by Jennings successor Commissioner Patrick Driscoll, Sharon embarked on a continuing program now a decade old to maintain and restore the many exemplary bronze statues that adorn the city. Among those restored are the Goethe and Schiller Monument, the Gustavus Sniper Monument, the Hamilton White Monument and most recently the Kirkpatrick Monument in Washington Square. All of these superb works of art of a century ago have been returned to the public in their original beauty and glory. Technical Restoration is a melding of art and industry. For many public monuments, years of neglect and abuse by pigeons and people alike, have left these sculptures in a prolonged state of decay.Sharon prides herself in researching each monument, the goal is always to bring back the original aesthetic qualities of a sculpture, and to halt the agents of corrosion and decay while laying the stage for simple a long-term maintenance plan to foster greater appreciation by the citizenry, uphold the community's investment both culturally and financially, reduce costs of later upkeep, and preserve priceless, and often one-of-a-kind, works of public art. According to Sharon, “every bronze has a unique situation and condition. I find educating the general public and civic officials to the need for regular care and attention to area history is very important and necessary.” For her accomplishment in art, craft, technical skill and public advocacy we present Sharon BuMann with the 2010 Harley McKee Technical Award.